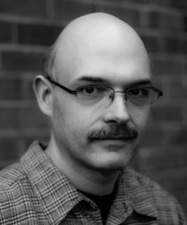 Today we welcome the author for an interview! It took me forever to figure out it. I never really did “figure out what I wanted to do when I grew up,” and coasted around a few things until writing became more than a hobby. I suppose the signs had been there at least in terms of creating worlds and characters for a long time, as I’d been heavily into roleplaying games as a kid. Unfortunate experiences with mandatory summer reading lists rather soured me on the idea of reading (prior to that I did often read for fun). It wasn’t until I was teasing forty that I started thinking about writing long form fiction. The time can vary quite a bit depending on how strong my inspiration is. The more into a book I get the faster I go. I used to be addicted to playing World of Warcraft, and I could go for twelve hour benders without thinking twice about it. Now, that same energy goes into my writing. I think the fastest book I’ve written has to be Citadel: The Concordant Sequence. 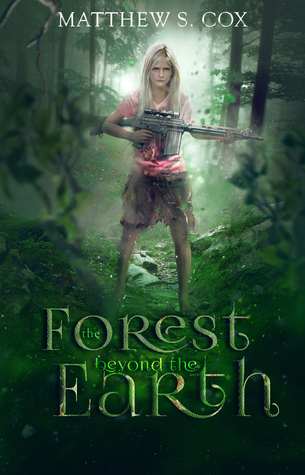 A reader asked me to write “more post apocalyptic stories with a young protagonist.” (Which is also what The Forest Beyond the Earth is). I spent a Wednesday developing the outline of the story, which I finished in a day. On Thursday and Friday, I wrote after the day job. Saturday and Sunday saw pretty much all day in front of the computer. I lost Monday/Tuesday to doing an edit on someone else’s book that my publisher needed fast. Taking Wed-Fri of that next week off work let me finish the book by Saturday. So basically ten days from zero to finished first draft for that one. By contrast, the longest one was Virtual Immortality (also the first one I finished) which took me about three months. The novels set in the Divergent Fates universe are using the setting for a roleplaying game world that I have been developing since 1996. They’re not “litRPG” books since I’m only using the setting. No one is ‘playing a game’ so to speak. With that setting comes a lot of story potential, some of which includes storylines modified from old game sessions. Other books hit me as the muse fancies. For example, I was in a Barnes & Noble doing a book signing for The Summer the World Ended, when something made the title Nine Candles of Deepest Black hit me. That title simply came out of nowhere, and I liked it, so I sat down and came up with a story to go with it. A protagonist the reader can empathize with going through situations that a reader can find relatable even if fantastic. If there’s a person antagonist (as opposed to a hostile environment), their motivations should be complex enough that from their point of view, they are doing the right thing. Of course, every now and then a “this guy is just bad” type antagonist can be fun to read about but it can get stale fast. I also think having the protagonist evolve over the course of the story and end up in a different place (mentally or emotionally) than where they started makes for a great story. The waiting. Waiting for beta readers to give me their feedback, waiting for cover art, waiting for everything to come together. Of course, I may have brain damage as I tend to enjoy editing. Counting co-authored novels, I’ve recently completed number 52. It’s difficult to pick a real favorite out of all of them as I like them for different reasons. Though, it’s probably a close tie between The Forest Beyond the Earth and Prophet of the Badlands. Althea from Prophet of the Badlands. She’s so fun to write… a combination of significant power, total innocence, and curiosity. Most of my books are published via a small press, Curiosity Quills. However, as of late I’ve decided to take a stab at publishing myself. Given the current state of things, it’s becoming more and more difficult to see the benefit of small presses. Self-publishing is more work and more initial out-of-pocket cost, but the returns can be better and maintaining control over the book is also quite nice. Not yet. I don’t have a lot of family left, and if any have read my work, none have told me about it. I used to dabble with illustration but not so much these days. Video games, movies, also roleplaying games… but that, too, has kind of fallen aside with age. It’s difficult to get the group together. Grab a copy of Self Editing for Fiction Writers by Browne and King. Also, seek out unbiased critique partners. When receiving feedback, don’t rush to change something the instant one person says it should be changed. If two people offer the same opinion, start considering it. If three or more people suggest a change, it’s probably a good idea to do it. Also, writing isn’t a race. Some people like me can do 20k words in one day. Some are elated to hit 1000 in one day. The pace isn’t important at all (unless you’re looking at a publisher’s deadline). Just write. Hmm. I’d have to say Neuromancer by William Gibson. It inspired my love of the cyberpunk genre. Yes. I have quite a few wonderful people who beta read for me. In no particular order: Denise Keef, Dianne Webb, Danny Cox (no relation), David Cox (no relation), Louise Fegans, Leslie Whitaker, tend to do most of the beta reading. Denise also helps me out whenever I have questions about police type stuff. Always. I have several projects swirling around at once. Out of Sight (a YA sci fi novel). The Menagerie of Jenkins Bailey (a MG urban fantasy), a few edits, and I’m working on the outline for the second Alexis Silver novel with J.R. Rain. Cats. Videos of soldiers reuniting with their kids. Finding a new review of one of my books or having a reader tell me something in one touched them/made them cry/laugh. Realizing it’s actually Thursday when I’ve spent all day thinking it Wednesday. Coffee. The news. Bad things happening to kids. Pictures of abandoned pets. The deaths of fictional characters I’ve come to like. Coffee mug being empty. I’d love to visit the UK or Ireland or Scotland. Likely quite a bit of inspiration for my Tales of Widowswood series there. Thank you so much for being with us today, Matthew!